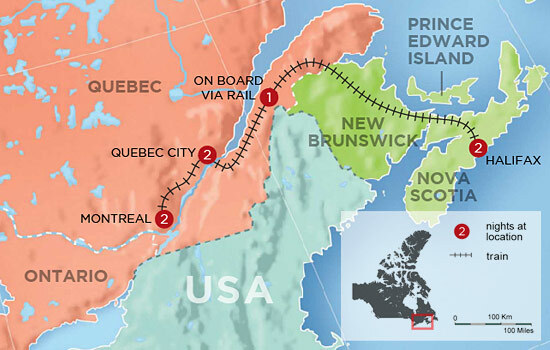 Tour Eastern Canada’s most spectacular cities on this 8-day railway adventure. It all begins in Montreal, a bilingual metropolis filled with ornate architecture, enthralling museums and some of the country’s finest restaurants. Travel to Quebec City and soak up the historic sights while getting a taste of Francophone culture before heading to lively Halifax. 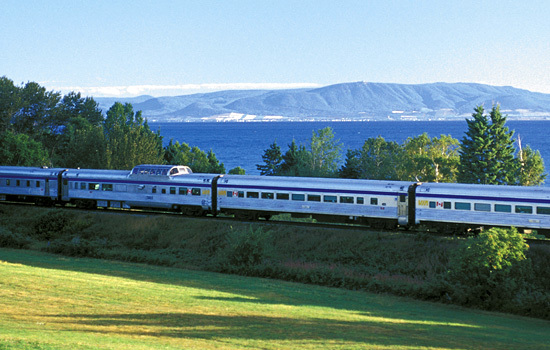 And during this trip, you’ll be treated to stunning countryside views as you relax inside your comfortable train cabin. Experience a once in a lifetime adventure of sleeping on the train in complete comfort. Relax in your private cabin or enjoy local wines and chef-prepared meals in the dining car during this unforgettable trip. The Auberge Bonaparte is offers historic charm in Old Montreal, with a rooftop terrace as well as an award-winning French restaurant. Enjoy a full complimentary breakfast during your stay. 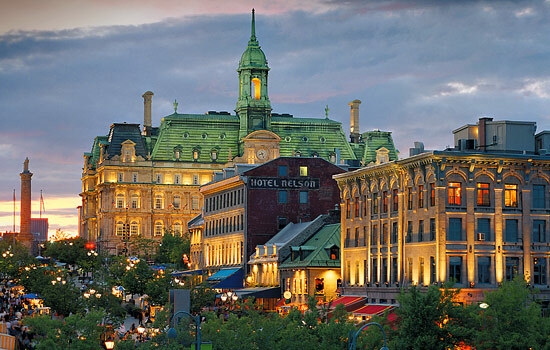 This hotel exemplifies the culture, charm and sophistication of Montreal, offering luxury and exceptional service. It boasts art galleries and boutiques and has a fascinating history that goes back three centuries. One of the most iconic buildings in Old Quebec City, the Fairmont Le Chateau Frontenac offers gorgeous views of the St. Lawrence River. Guests will feel pampered as they enjoy three restaurants, two lounges, a fitness room, a spa, shops and a whirlpool. A friendly driver greets you at Montreal’s airport before taking you to your stylish hotel. Admire the view from Mount Royal or enjoy a meal in the fresh air on one of the terraces of St. Denis Street. Become intoxicated by Montreal’s unique blend of French-Canadian culture and an eclectic artsy vibe. We have selected one of our favorite restaurants for you in Montreal. With a menu created with a certain ‘French flair’, enjoy a showcase of the finest, freshest regional products. Relax – you’re in good hands with Fresh Tracks Canada. Bienvenue à Montréal! The city of Montreal features classic European charm with a Canadian twist. Spend today exploring the sights, you’ll love the fascinating blend of old and new here in Montreal, from the stone buildings to the modern skyscrapers. 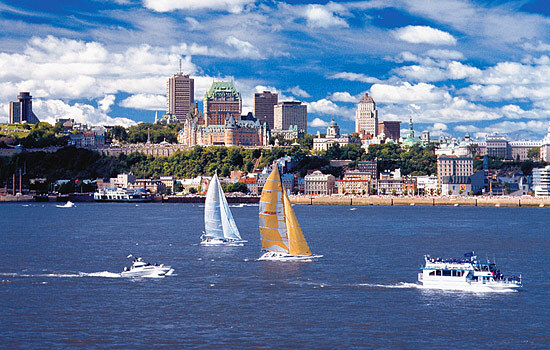 Get a full overview of Montreal on a special small group tour, including dedicated driver and plus expert tour guide. This 6-hour tour gives you plenty of time to relax and enjoy the sights along the way, without being rushed. Note: Small group tour runs on Mon and Wed start days of this trip. For Saturdays, ask for alternate sightseeing options by vehicle. A 3-hour tour by bike that takes in major sights and neighborhoods. Hear interesting snippets on histories and anecdotes about the areas you visit. Of course, you’re going to build up an appetite, and this tour takes you to a farmer’s market where you can indulge in a delicious picnic topped off with a pastry or ice-cream. Sight-see or taste your way through Old Montréal to discover history, culture, and the company of a passionate local guide. As you follow the narrow and winding streets, you’ll see how Montreal is a perfect blend of old and new. 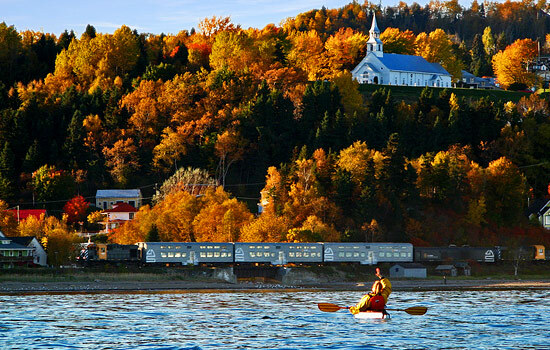 Gaze out the window at the beautiful scenery as you travel from Montreal to historic Quebec City by train. 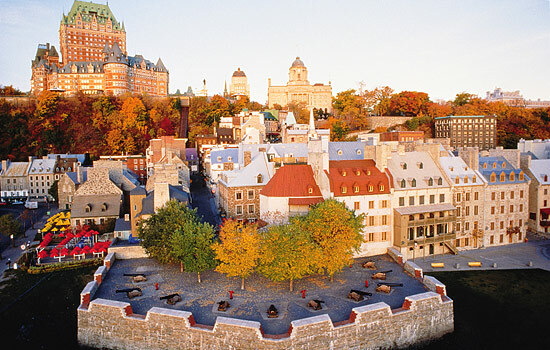 One of the oldest communities in the country, Quebec City will make you feel like you have travelled across the pond to Europe with its cobblestone streets and massive stone walls. Your guide will meet you at the train station and take you to your hotel. A full day in Quebec City gives you a chance to discover the historic city walls, cobble stone streets, and century old buildings that give Quebec City its old-world air. There is nowhere else like this in North America. On a leisurely walking tour, explore the unique art, architecture, and history of Quebec City’s upper and lower towns. Your guide is equally passionate and knowledgeable about their home town as you are to explore it. Spend the day discovering Quebec City’s French-Canadian culture on a group bus tour. From your comfortable seat, enjoy the beautiful architecture of the fortified city, visit historic sites commemorating the battles between French and English, and take in the sights of this unique city. So confident are the folks that run this tour that they simply called it ‘The Food Tour’ – the only food tour you will need to take! This tour covers seven different venues, and samples about 15 different products. Try food of French-Canadian origin from crepes to organic wine. 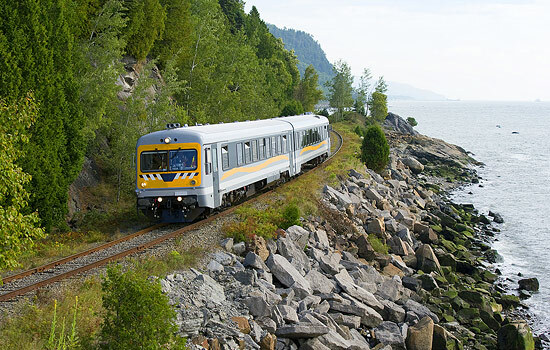 Go further afield today or continue exploring Quebec City in more depth before boarding the Ocean train tonight. You have 3 options from which to choose today to help you enjoy Quebec. Some might say the best way to enjoy a new city is to simply follow your nose and see where your adventure takes you. Perhaps your nose will lead you to J.A Moisan, North America’s oldest grocer. Pick up some treats from the deli and head to a nearby greenspace for an impromptu picnic. This evening dine in the historic Maison Jacquet built in 1675. Several prominent figures from Canadian History are said to have dwelled here – feel their influence and sense their presence as you dine on traditional Quebecois cuisine! Discover Maizrets Park, Beauport Bay and enjoy incredible views of the St. Lawrence River. This 25kms loop tour also includes a cable car ride to the top of Montmorency Falls – 30 feet higher than Niagara Falls. This option is for those who prefer to be active on vacation. 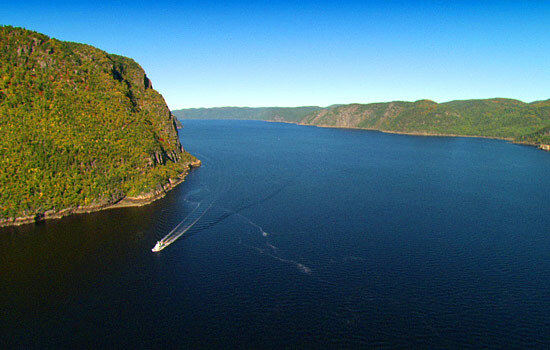 Soar over Quebec City on a 55km (34 mile) loop along the St. Lawrence river to Montmorency Falls. Fly over the iconic Chateau Frontenac and historic Old Quebec for unforgettable sights and photo opportunities. Complimentary shuttle to heli-base is available. Insider tip: The Chateau Frontenac in Quebec City is recognized as the most photographed hotel in the world. Discover what hides behind the classic exterior on an educational guided tour through the hotel. 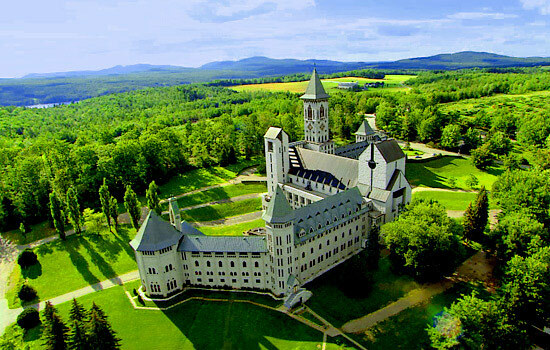 Ask your Vacation Advisor about adding this piece of history onto your itinerary. This evening you will be transferred to Ste. Foy where you will board VIA Rail’s Ocean Train for your overnight journey. Travel past rolling hills, and quaint coastal villages that appear from times long past as you make your across Atlantic Canada. Overnight on board the train in your private cabin. Wake up in your train car and look out the window – you will be greeted with views of the vast blue Atlantic Ocean, rolling green hills and the simple clapboard houses of quaint Maritime villages. 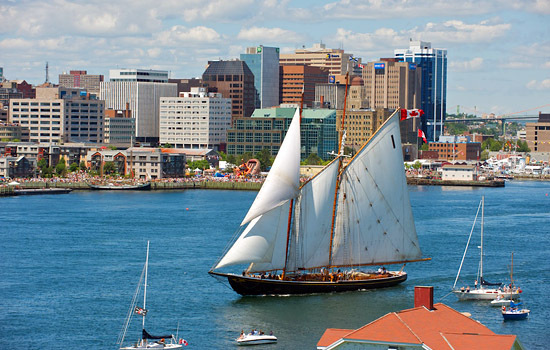 Admire the view from the panoramic dome car as you make your way to the historic city of Halifax. Arriving in Halifax this evening, a driver picks you up at the station to take you to your hotel. The gorgeous province of Nova Scotia has a rich Celtic heritage and a fascinating history that is intrinsically linked to the sea. Discover the nearby fishing villages and rugged coastlines. Savor some of the local seafood to commemorate the last night of your Canadian train journey. 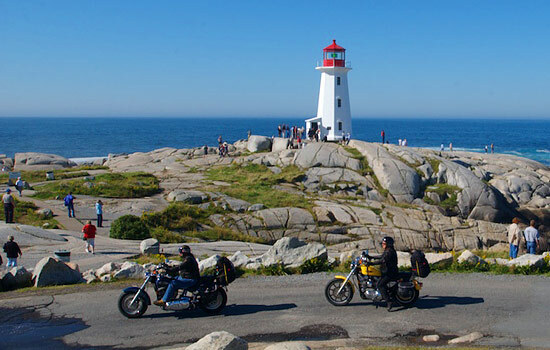 Enjoy a privately guided tour to see the quaint lighthouse village of Peggy’s Cove. 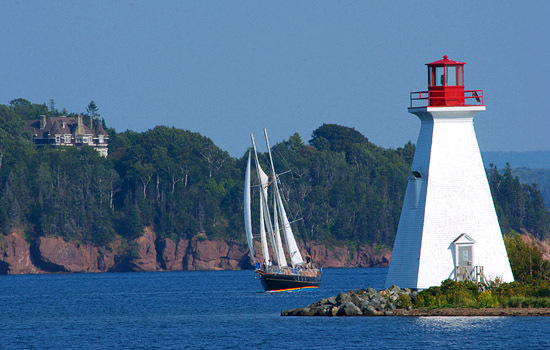 Visit this iconic lighthouse and bask in its Maritime glow as you watch fishermen sail in and out to sea. Wine Country is not only found in California or France, but right outside Halifax in the stunning Annapolis Valley! Enjoy aromatic whites, cool climate reds and prize-winning sparkling wines. Additionally, this tour includes a cheese tasting. This tour is catered to all abilities, from the absolute beginner to seasoned professional. If you simply travel with your camera phone or iPad, your tour guide will teach you how to get the very best photos with texture and depth. This enriching tour showcases old maps, photographs and paintings to tell the story of this historic (and sometimes bizarre) area. 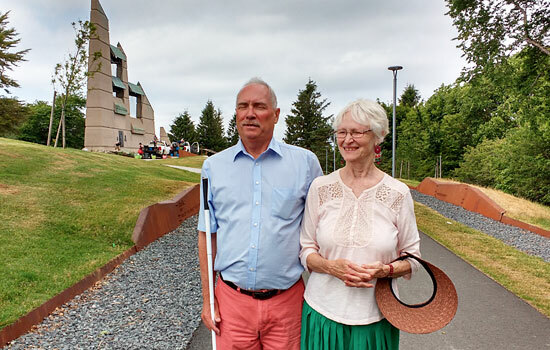 The tour guides endeavor to take you off the beaten path to great vantage points while incorporating special events and local festivals to make the most of your snapshots and experience Halifax like a local! Highly recommended! Wave goodbye to the wild East coast of Canada and catch your flight from the Halifax airport. Your Canadian journey will leave you with memories that you’ll enjoy for a lifetime. *An additional day of accommodation has been included in Quebec City prior to boarding the train late in the evening. 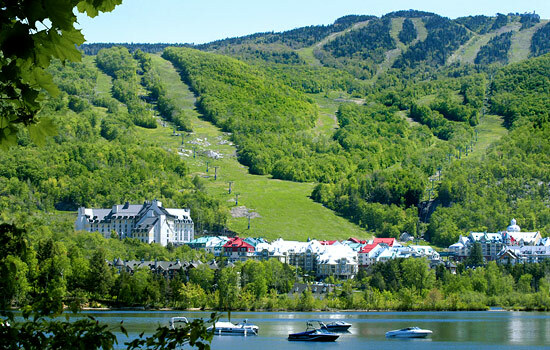 ✔ Comfort level hotel prices include Economy class on VIA Rail. 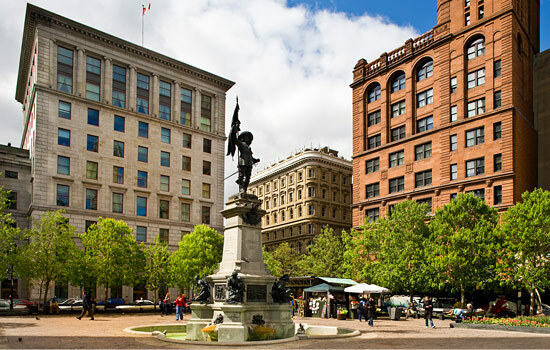 • Small Group tour in Montreal is available from the May 23–October 19, 2019 on Mon and Wed start days of this trip. For Saturday starts, ask for alternate sightseeing options by vehicle. Note: Surcharges and date restrictions apply during the Montreal Grand Prix in June. On our Deluxe Level vacation, it's likely you'll be staying at one of the iconic Canadian Fairmont Hotels in a room with a view. Built for the Canadian Pacific Railway in the early 20th century, these hotels are luxurious and full of history – ensuring an experience you'll never forget. Enjoy unique sightseeing experiences and the insider detail that only Fresh Tracks Canada can provide. Thank you again for all your help and for making our trip so special!